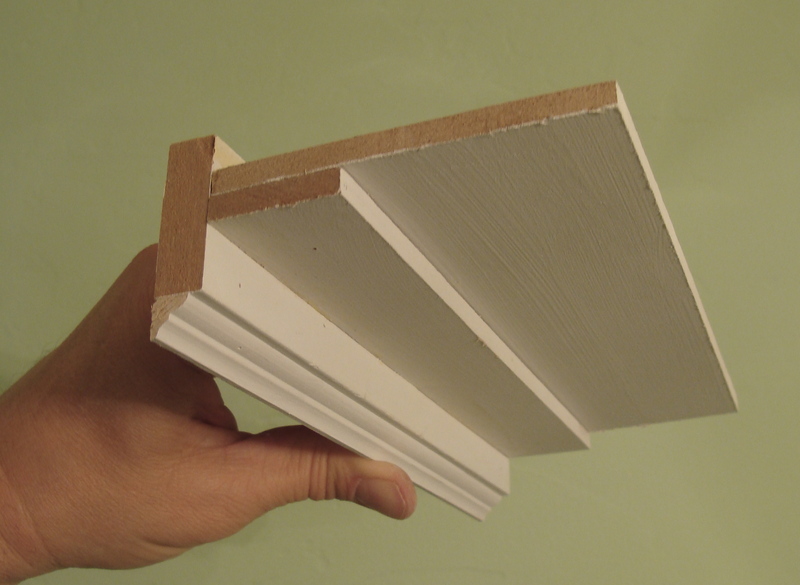 A crown molding model inspired by American Beaux Arts design. I’d love to see how this looks when finished. I wish we could show you sooner than later, but moving the bathroom light has become a bigger job than anticipated. We have to hire an electrician. Even Jennifer’s dad didn’t feel comfortable tackling the mess we found behind the light. In the mean time, I’ll turn my attention to doing a mockup installation of a crown molding finial return, and then get started on the Craftsman moldings series. Until then, Chris, happy new year!